From the stunning spires of Gaudi’s Sagrada Familia, to the historic La Rambla, Barcelona is ideal for a city break, a week in the sun or a sightseeing getaway. Hop on the Barcelona tour bus, to get your bearings, get the funicular up to Tibidabo for the most breathtaking views or spend a day lounging on the city’s beaches. Children will love the hustle and bustle of this colourful city, while a trip to the aquarium at the port is a great way to finish off your day, before a meal of delicious tapas. 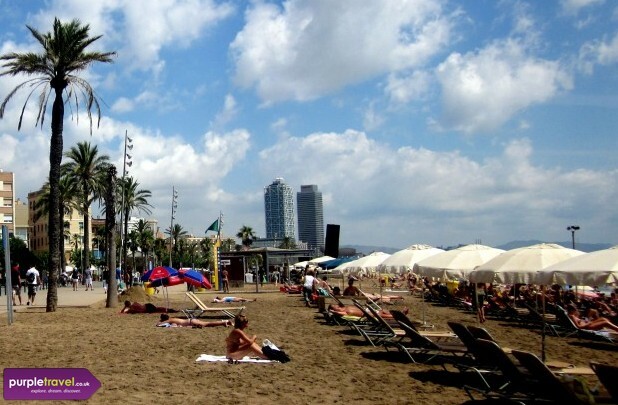 Book the best cheap holidays to Barcelona now with the expert team at Purple Travel. A truly international city with pleanty to see and do. Make sure you visit Port Olympic for some excellent seafood. We spent a Sunday in barca strolling along Barceloneta and exploring the Boqueria Market and Las Ramblas. There’s heaps of culture in Barcelona and you can feel it in the air. If you haven’t been here, you must see it for yourself.